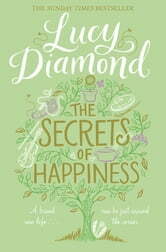 The Secrets of Happiness is an extraordinary tale of sisterhood, from Lucy Diamond author of The Beach Cafe. Rachel and Becca aren't real sisters, or so they say. They are stepsisters, living far apart, with little in common. Rachel is the successful one: happily married with three children and a big house, plus an impressive career. Artistic Becca, meanwhile, lurches from one dead-end job to another, shares a titchy flat, and has given up on love. The two of them have lost touch, but when Rachel doesn't come home one night, Becca is called in to help. nobody seems to have a clue where she might be. her own life, and the future seems uncertain. But sometimes happiness can be found in the most unexpected places . . . Brilliant. Thoroughly enjoyed this story. 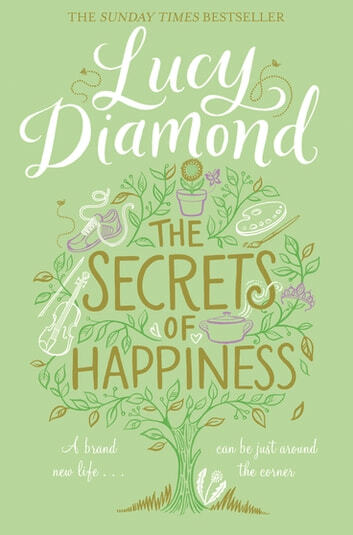 As always I enjoy Lucy Diamond’s books and am always happy to see a new one has been published. Keep them coming Lucy. A lovely easy read that builds up likeable characters to the end. Lucy Diamond has a great way of drawing you into the story. Fun read with realistic sisterly relationship. Some very funny moments which made me laugh out loud. This author has a good eye for the ordinary, which makes the characters eminently relatable.